Ultimate Liver Support-Detox Complex is a powerful antioxidant/.detoxifying formula which helps support healthy aging and immune and liver function. 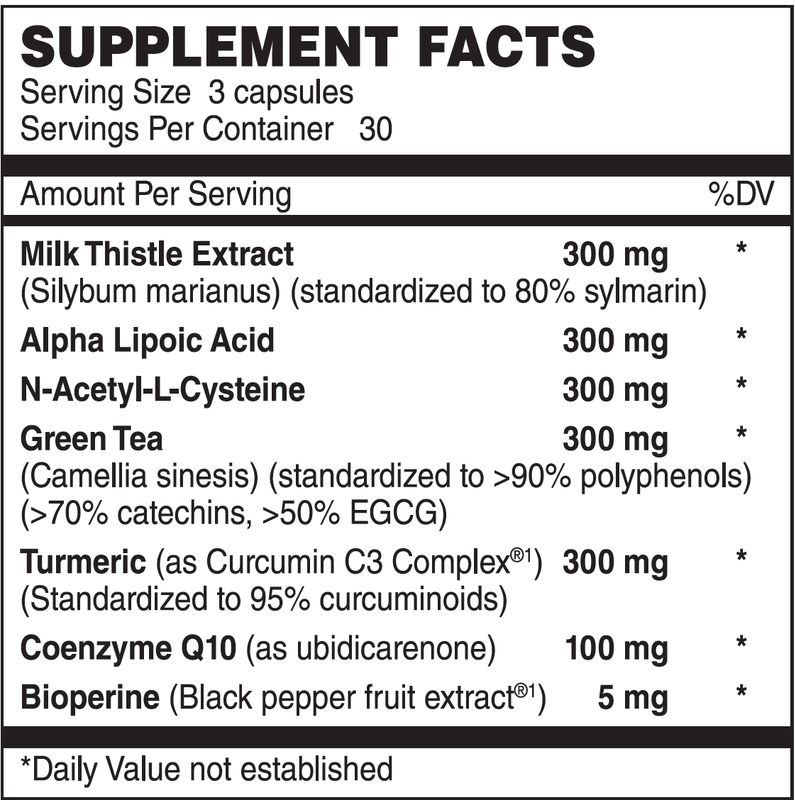 This product contains several key nutrients that may help boost immune system function such as standardized European milk thistle, green tea and turmeric, as well as alpha lipoic acid, NAC and Coenzyme Q10. Directions: As a dietary supplement for adults, take three (3) capsules daily, (can be taken in divided dosages), preferably with a meal, or as directed by a healthcare practitioner. Other Ingredients: Vegetable cellulose, microcrystalline cellulose, silica and ascorbyl palmitate. Warning: If you are pregnant, nursing, taking any medications or have a medical condition, please consult your healthcare practitioner before taking any dietary supplement.